Shandong Sishui Xinfeng Flour Machine Co., Ltd.
Luwei bolted-type silo has triple reliable seal protection. 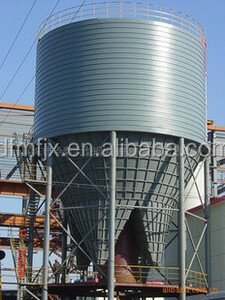 Luwei bolted type silo is convenient to install and remove. It realizes to recycle on different construction sites and long-term service life. (2) Column The column, made by the Z-bar, is used to reinforce the silo body. (3) Manhole and Roof Ladders There are inspection door and ladders inside and outside the silo body. There is a guardrail around the silo eaves and there is also a manhole on top of the roof. Shandong Xingfeng Flour Machinery Co., Ltd. 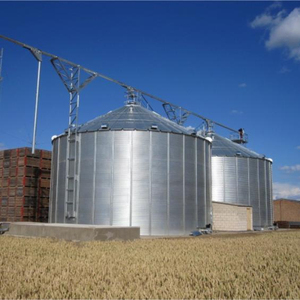 Corrugated grain steel silo storage silo including silos, elevators, conveyors etc. 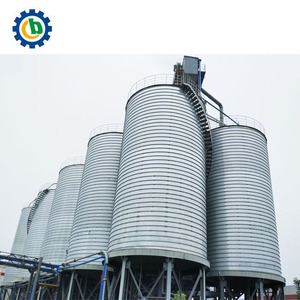 Corrugated grain steel silo storage silo is used for dealing with grain such as wheat, corn, paddy, rice etc. 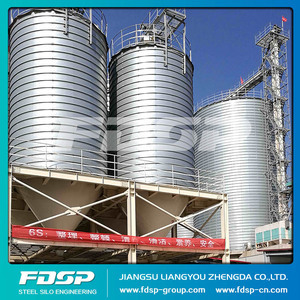 Corrugated grain steel silo storage silo is widely used in feel mill, flour mill, poultry plant etc. 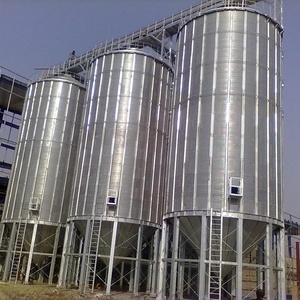 Maize meal flour silo We design, budget, manufacture and erect complete grain storage projects with steel silos, grain conveying, cleaning and drying. 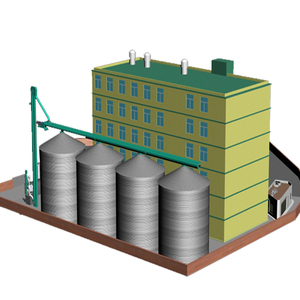 Equipment positioning: According to the diameter of steel silo, fixing the position of the equipments; Rolling silo: After fixing the position of the equipments, rolling silo to 2m high; Install silo roof: After cutting silo roof level with plasma cutter, installing the silo roof; Lifting silo: Lifting the rolling silo to required height; Fixing silo: Taking out the machines, fixing the silo with embedded plate; Installing other facility: The user design and installation of the selected form object. 3. 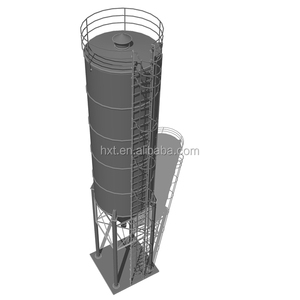 Production of 100t cement silo in TSE factory; click here for more details. The special bolts used for cement silo; TSE use the spherical surface bolts for the cement silo, so the cement will not be kept inside the silo; TSE use the hot dip galvanizing bolts for cement silos, so the bolts will not get rust within 10 years. 6. Shipping of the wheat corn flour silo in TSE factory; TSE has more than 10 years experience with exports, loading containers is one of the professional work in TSE, TSE will help customer to save the container space and decrease the basic cost for customers; 7. Please get in touch with TSE for more details . Storing all kinds of solid grains, powder material. 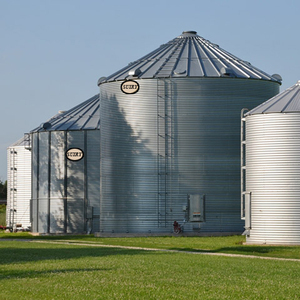 Hot-galvanized steel assembled silos. Suitable for middle and large scale factories. 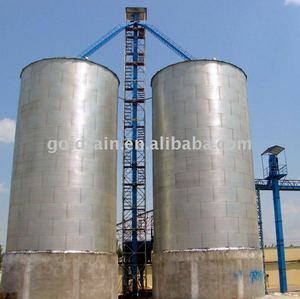 Alibaba.com offers 117 100 ton storage flour silos products. About 26% of these are silos. There are 38 100 ton storage flour silos suppliers, mainly located in Asia. The top supplying country is China (Mainland), which supply 100% of 100 ton storage flour silos respectively. 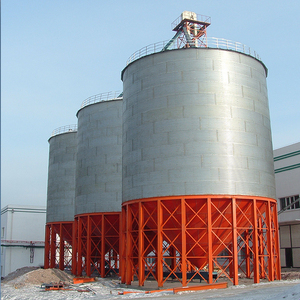 00 ton storage flour silos products are most popular in Domestic Market, Africa, and South America. You can ensure product safety by selecting from certified suppliers, including 38 with Other, 12 with ISO9001 certification.